What: The vending machine toy answer to the zombie craze. 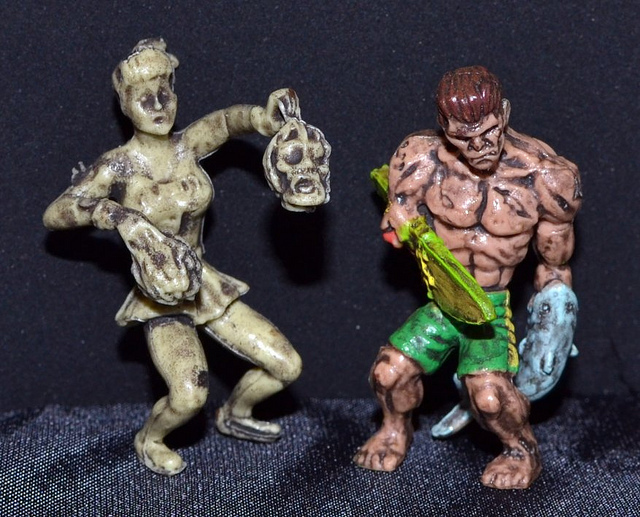 These mini, brain-hungry guys and girls come in nine different sculpts (including a zombiefied clown, cheerleader, surfer, old woman, etc), with versions that are fully painted as well as versions with just a bit of one-color paint to accentuate details. Who: Distributed by A&A Global Industries. Check out their page showcasing this line.